Your membership means more than simply signing a piece of paper. Becoming a member of Shiloh expresses your commitment to this “spiritual family,” a family that worships together, grows in faith together, and serves one another. We are committed to connecting with you and desire to help you solidify your faith and find your place at Shiloh. 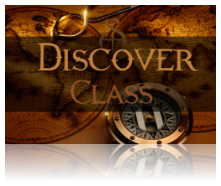 The Discover Classes are for individuals who have attended church worship services or Sunday School and have not become members, but are considering the possiblity of membership, or people who just want to know more about us. In the Discover Class, we provide a review of Shiloh history, an overview of our ministry values and Statement of Faith, and present opportunities for connecting to small groups and areas of service. This is a great opportunity to get to know us better, make friends and discover firsthand how God is working in the different ministries of our church. To sign-up for the next Discover Class please use the form here. Church membership is not a means of salvation; becoming a member of Shiloh or any other church does not assure anyone of eternal life in heaven. Church membership also is not a requirement for worshipping at Shiloh. The Bible tells believers to meet regularly with a group of Christians who love, serve, and encourage one another (see Ephesians 4:16, I Timothy 3:15, and Romans 12:4-5). For questions about baptism, please contact a pastor at 919-553-3319. We want to make this easy yet keep it meaningful. If the process described above leaves you with questions, call us at the church at 919-553-3319, or contact us online.